Did you swim at the ASA Open Water Festival or some other event this year? 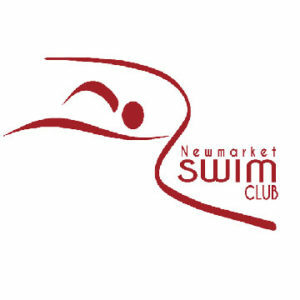 Are you looking for a new challenge or longer distance swim next year? How about a 10k? 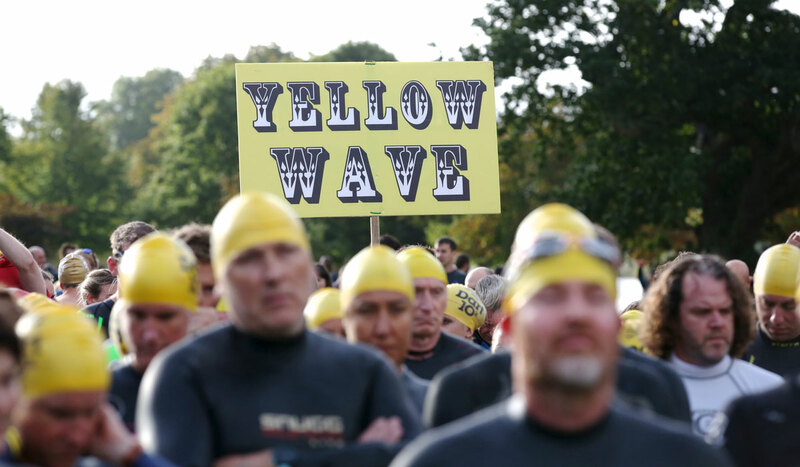 City of Derby Masters swimmer Val Thorpe looks back on her experience at this year’s Dark 10k. Yes, it’s a serious swim. Yes, it’s a long way. And yes, it needs planning and training. But it’s perfectly achievable. There are quite a few 10ks around now but one of my favourites is the iconic Dart 10k (run by the excellent Outdoor Swimming Society). 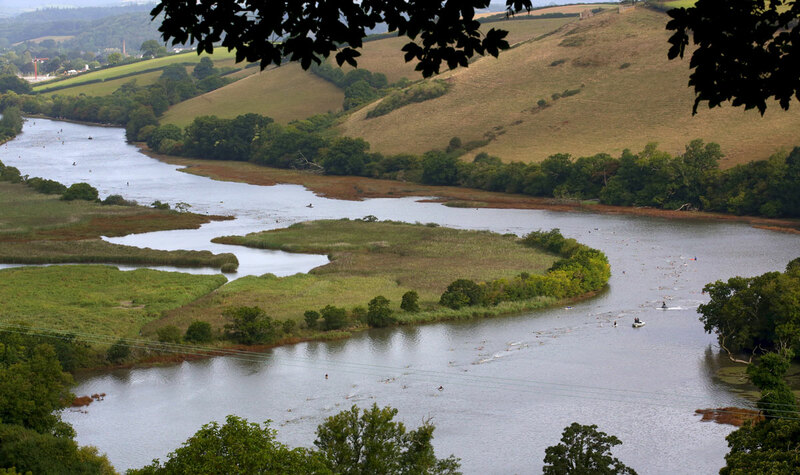 This swim meanders along the majestic River Dart from Totnes to Dittisham and because the river is tidal I’ve always been a minimum of 30 minutes faster than any other 10k I’ve swum. 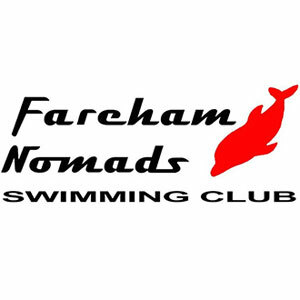 You do get considerable assistance which is nice, particularly if you’ve never swum that far before! 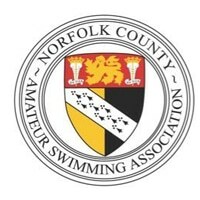 It’s a delightfully quirky event (but brilliantly organised) and there’s no such thing as a slow swimmer; only ‘leisurely’. In fact, you’re positively encouraged to put your head up and admire the beautiful countryside and the abundant wildlife (although I’m sure the cormorants perching on the buoys near the finish were laughing at me). Of course, if you want to go faster that’s fine too, with speed waves appropriate for everyone. The safety crew are second to none which is very comforting, especially where the river widens to over a mile towards the end of the swim. Floating feeding stations also are a feature of the swim. How the volunteers stay on them and stay so cheerful I have no idea. 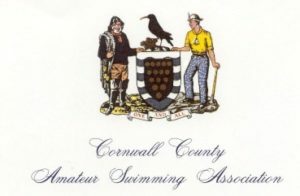 This year’s swim was the ‘Year of the Cormorant’ with appropriate artwork on the finishing goodies. Last year was the ‘Year of the Mermaid’ with life-size mermaid sculptures marking each km, so each year is truly unique. The finish is a great place for family and friends to wait for you with bands playing, local food on offer and even a children’s craft area where they can make their own medals for mum, dad, grannie and granddad swimmers. And I shouldn’t forget to mention the local pub! In fact the whole area is a lovely place to spend the weekend and after all, just think of the guilt-free cream teas you can have after the swim.